I wanted to make it look like the frog was jumping out of the water to get to the fireflies buzzing above him. 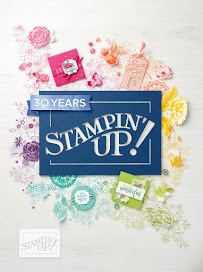 I used the Fabulous Flamingo stamp set for the water and tall grass stamps. I stamped the water in two different colors for more of a realistic look. 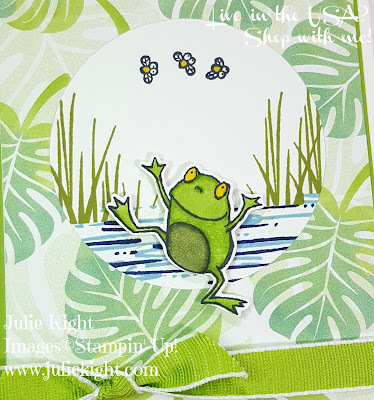 I put Dimensionals on the frog to make him stand out and to look like he is jumping off the page. 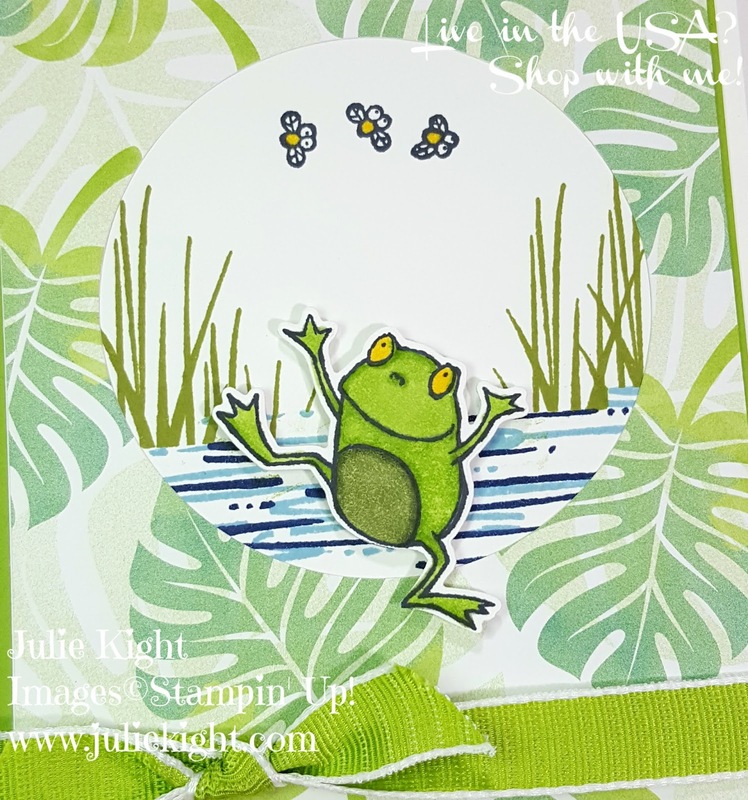 I used the Stampin' Blends to color him too as well as the fireflies. I was really happy with the way this card can together. 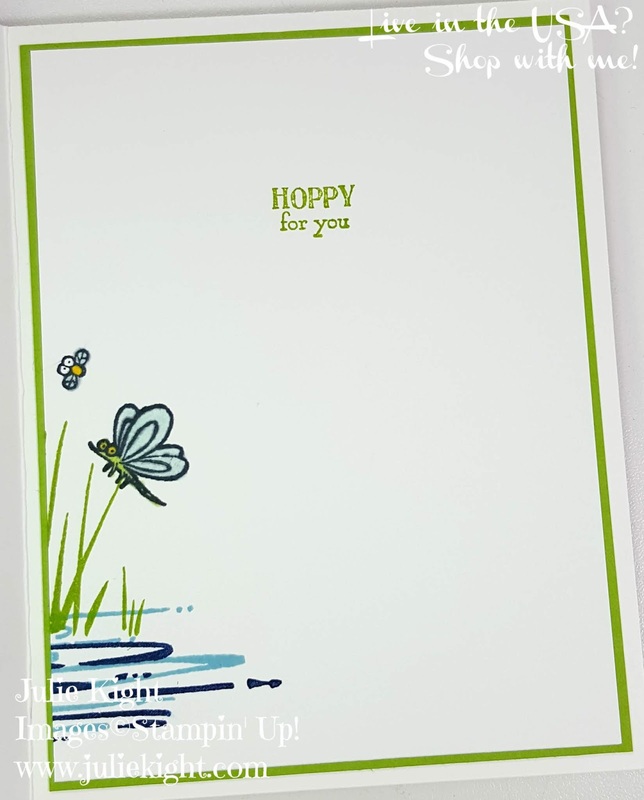 I added some Granny Apple Green Textured Ribbon and three Basic Rhinestones to round out my card. 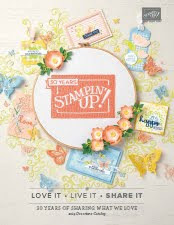 I had fun stamping the inside with some of the same stamps and colors as the front. 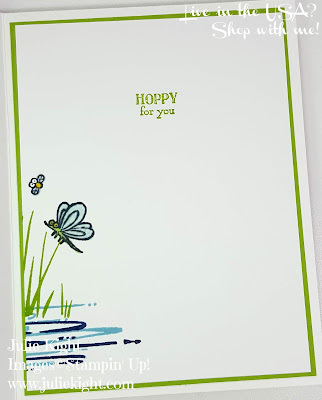 With it's cute sentiment someone you care for would love to get this card. 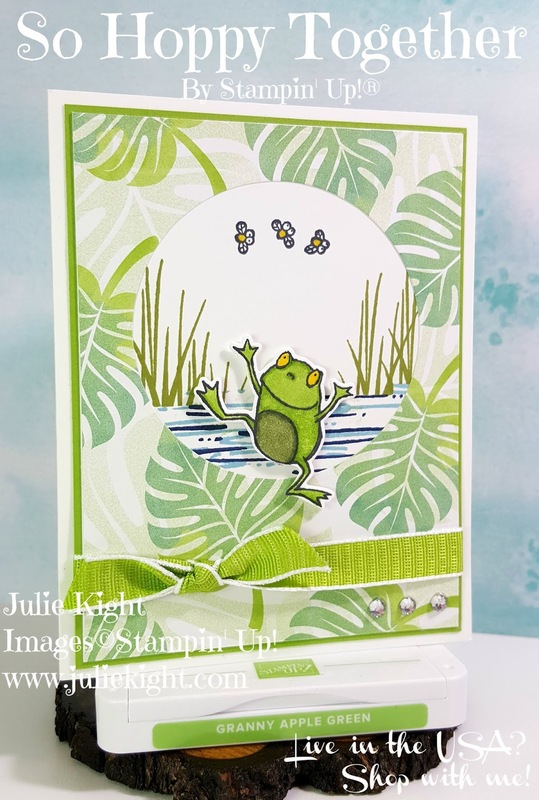 Thanks for coming to check out this cute, fun card on my blog today and remember to come back for another project!